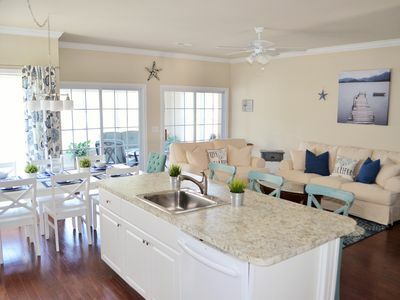 Built in 2005, this welcoming, open concept home offers all the comforts and amenities you desire for a dream beach vacation. 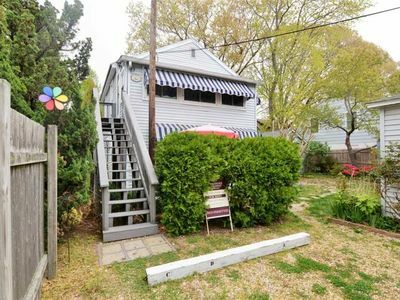 This home has been beautifully refurnished and redecorated in 2016. It boasts 3 separate living areas. 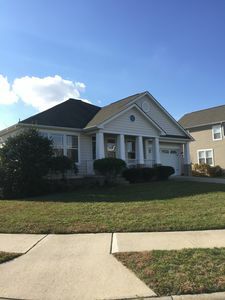 The main level has a quiet living room, modern kitchen, large dining room, great room, master suite with private bath, 2 additional spacious bedrooms and a full bath. This level also features a full size washer and dryer located just off the main hallway. 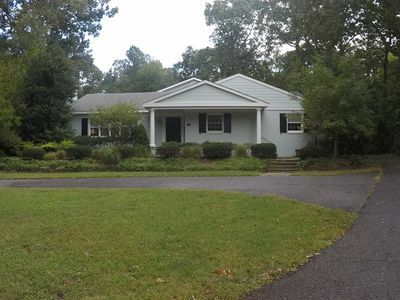 The lower level has 2 large bedrooms, full bath and large family room. 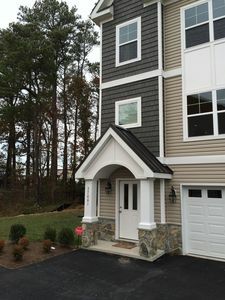 Each level offers separate zoned Heating and AC. 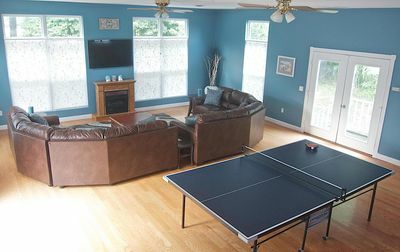 The great room, located just off the kitchen, has a beautiful cathedral ceiling with a ceiling fan, comfortable seating, a gas fireplace and a 55" smart TV. The back porch is easily accessed from the rear door of the great room. 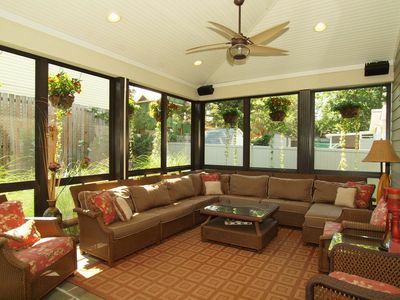 The large back porch is conveniently located off the great room . It has a pergolo to provide shade and a gas grill and large table for dining al fresco. The master suite has high ceilings, private bath with double vanity, shower and garden tub. There is a separate entrance to the back porch from the master suite. 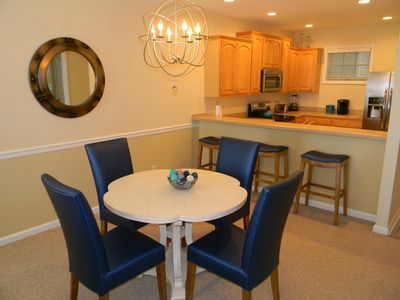 All five bedrooms are extremely spacious and have queen size beds and full closets. The lower level fifth bedroom also has 2 additional twin beds, perfect for families with children. 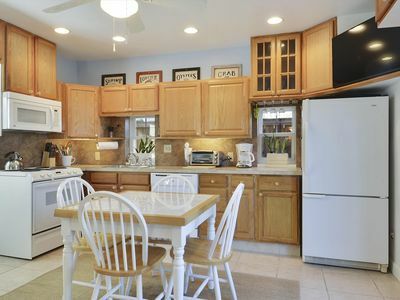 The bright modern kitchen is well stocked for all your cooking and dining needs. 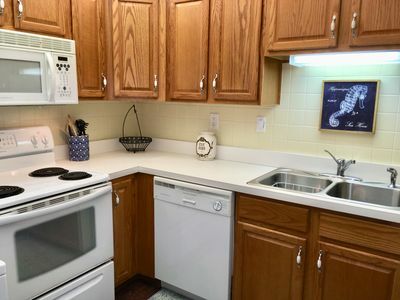 It has a refrigerator with ice maker, 5 burner gas range/oven, microwave, dishwasher, disposal, crock pot, coffee pot, blender, toaster, pots, pans, dish and glassware setting service for 12 as well as utensils and flatware. 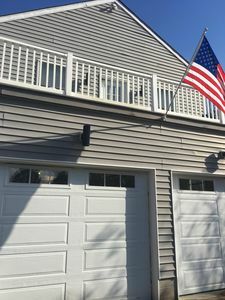 This home has a spacious 2 car garage with additional off street parking. There is a second refrigerator located in the garage. 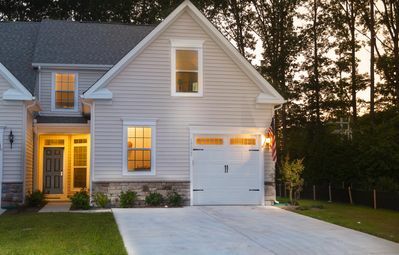 The cozy front porch is perfect place to enjoy your morning coffee while watching the sun rise. 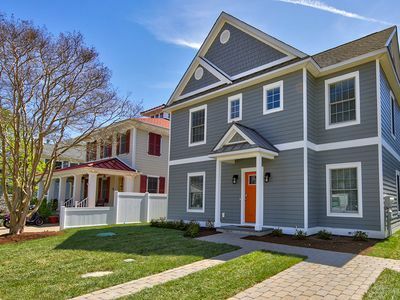 Located just east of Route 1 in Lewes, DE, the Villages of Five Points, is just a few miles to most resort spots and activities. 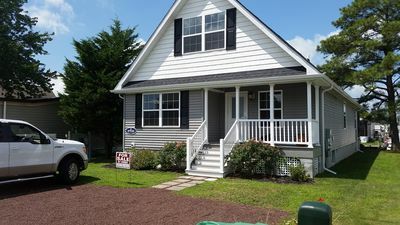 Whether you love playing in the sand and surf of Lewes or Rehoboth Beach, exploring the natural beauty of the Delaware Coastline through Cape Henelopen State Park, learning about Lewes' rich history as the first town in the first state, shopping in the local shops and outlets, or dining at one of the many local cafe's or restaurants, our home is the ideal location for all your vacation activities. All of these sites and activities are just a short walk, bike ride or drive away. 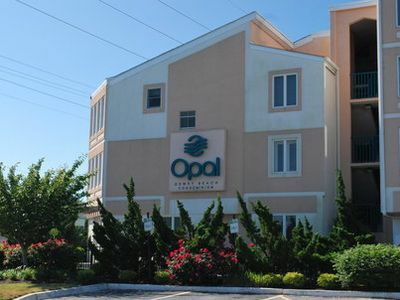 Comfort and Convenience at the Beach...Book your Summer Vacation with us now! 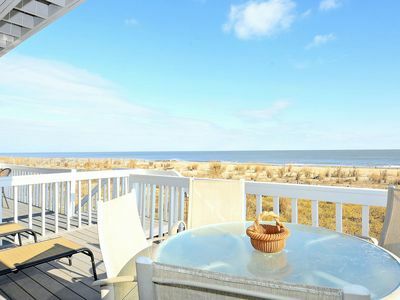 LINENS INCLUDED RECENTLY BUILT 5BR 3 MASTER SUITES ONLY JUST 2.5 BLOCKS TO THE BEACH & BOARDWALK! FREE Activities. 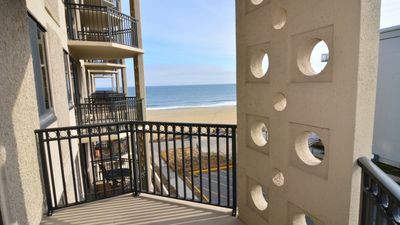 DEWEY BEACH OCEANFRONT end unit townhome with picture perfect views. 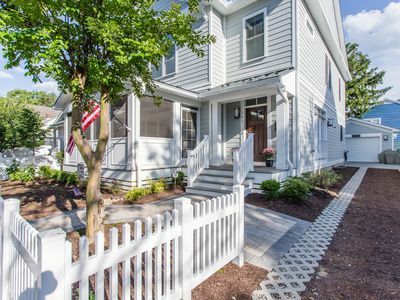 Beatifully cared for and maintained is this wonderful 4 bedroom, 3 bath townhouse. 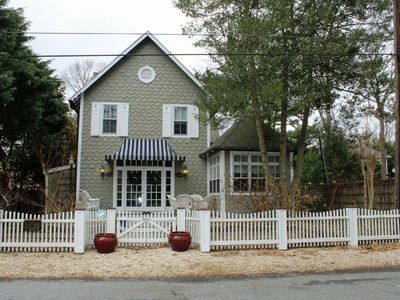 ADORABLE TWO BEDROOM APARTMENT IN-TOWN REHOBOTH! WALK TO BEACH AND BOARDWALK! Minutes from everything without the crowds! 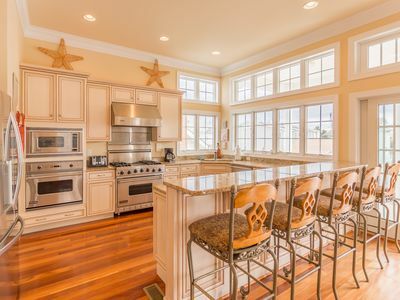 Open floor plan beach house in Henlopen Acres. 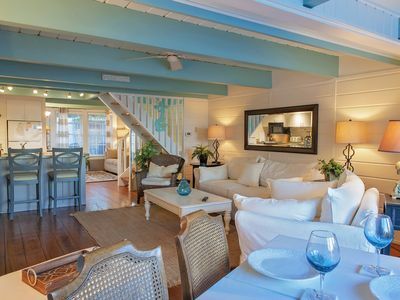 Four bedroom, four bath sleeps 8.